(GSM Insider) - More Than Half A Million Units Of Oppo Find 5 Sold To-Date. 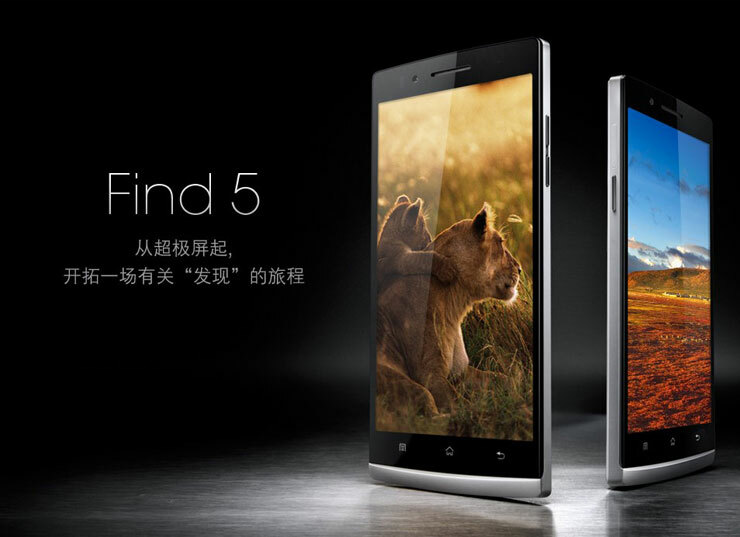 Oppo Find 5 is the first ever FHD smartphone from Chinese manufacturer. So, the popularity of Oppo Find 5 is very high among the Chinese people. But how many units of Oppo Find 5 were sold to-date? The answer is more than 500,000 units. According to sources from China, more than half a million units of Oppo Find 5 were sold after three rounds of sale. 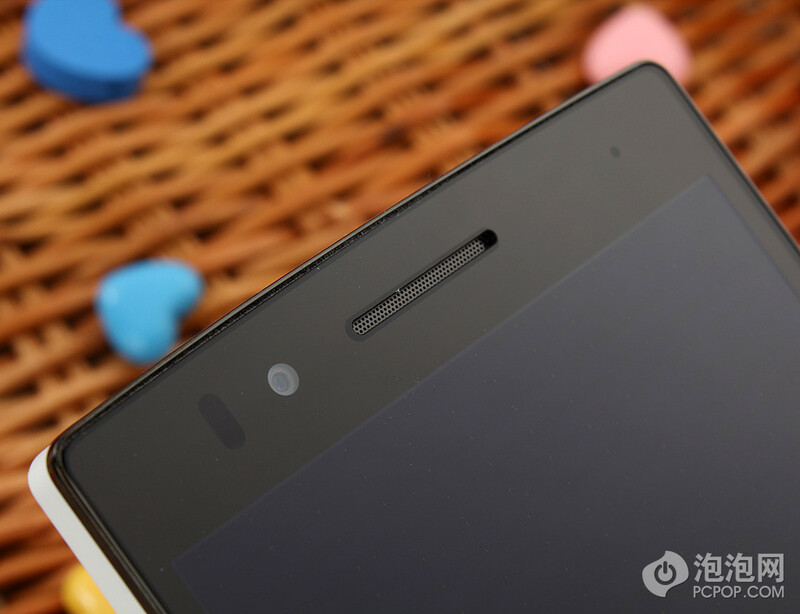 The sales figure of Oppo Find 5 was obtained from software update information. Of course, the official numbers are yet to release by Oppo Mobile. But it isn't difficult to achieve such high sales if the brand is from China, right? 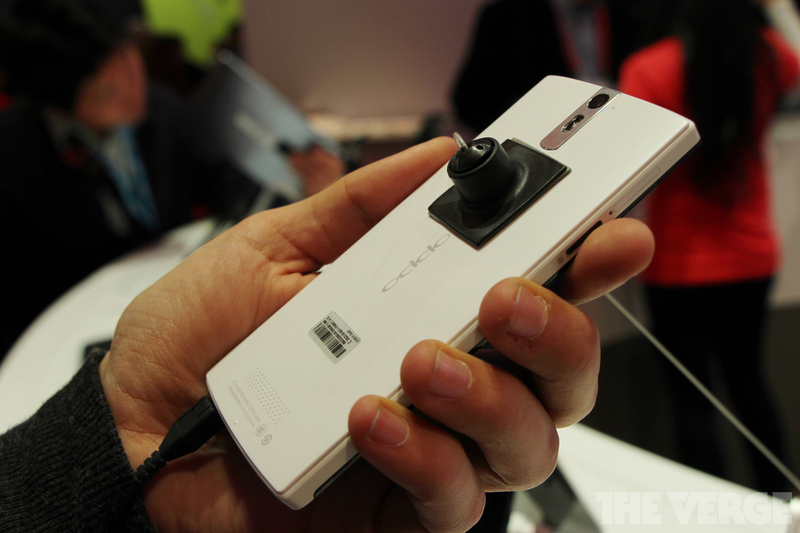 (GSM Insider) - MWC 2013: Oppo Find 5 Hands-On. 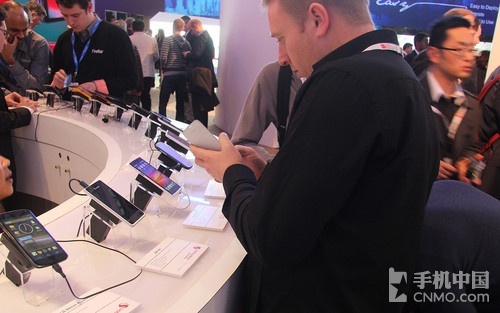 The Chinese first 1080p Full HD smartphone, Oppo Find 5 was spotted at the Qualcomm booth on the floors of Mobile World Congress 2013. It isn't surprise because Oppo Find 5 is powered by the 1.5GHz Snapdragon S4 Pro APQ8064 quad-core processor. Oppo Find 5 is a 5-inch phablet. The display resolution is 1920 x 1080 with 441ppi. Besides the Snapdragon S4 Pro processor, it has 2GB of RAM to make the device perfect for multitasking. The Oppo Find 5 has a 13-megapixels camera and it runs on Android 4.1 Jelly Bean. The Oppo Find 5 already on sale in China a few days ago. Due to its high popularity among the Chinese users, 5,000 units of Oppo Find 5 were sold out in less than 2 hours. This Oppo Find 5 is heading to more regions in the coming weeks. (GSM Insider) - 5,000 Units Of Oppo Find 5 Sells Out In Less Than 2 Hours. The Oppo Find 5 on sale in China earlier today, 25 February 2013. However, the 32GB version of Oppo Find 5 sells out in less than 2 hours. The Oppo Find 5 on sale on 10am (China local time) and sells out about one and half hour later. 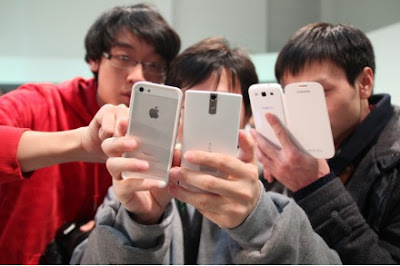 This clearly shows the high popularity of Oppo Find 5 among the Chinese. Oppo Find 5 was the first 1080p Full HD phablet from a Chinese manufacturer. It features a 5-inch FHD display, 1.7GHz Snapdragon S4 Pro quad-core processor, 2GB of RAM and 13-megapixels main camera. It runs on Android 4.1 Jelly Bean. Oppo Find 5 is available in 16GB and 32GB version. The 16GB Oppo Find 5 selling at RMB $2998 while the 32GB Oppo Find 5 selling at RMB $3298. The pricing of Oppo Find 5 is considered high in China when compared to other same specs' devices. The 32GB Oppo Find 5 already sold out at the moment on Oppo website. No news yet when the Oppo Find 5 going to open for sale again. (GSM Insider) - Oppo Find 5 In Thai Language Gets Hands-On [Images Gallery]. Thai people are so lucky. 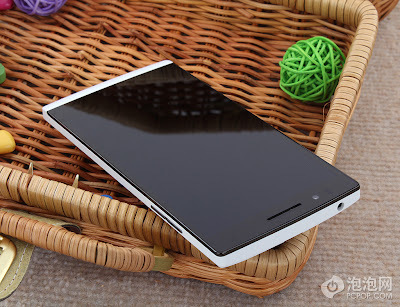 They will be the first to get the Oppo Find 5 outside China. 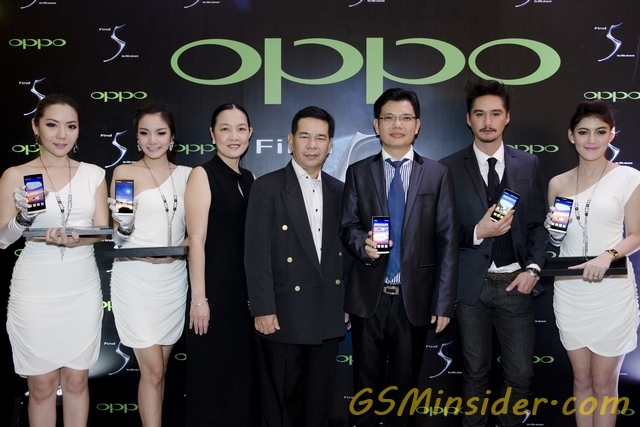 Thailand is the first country that gets the Oppo Find 5 as it was launched at the Southeast Asian country earlier today. As you can see that the Oppo Find 5 that was launched in Thailand indeed supported the Thai Language. It has been preloaded with Thai Language for the usage of people. So those who getting the Oppo Find 5 in Thailand will get the device that comes with the Thai Language. The Oppo Find 5 in Thailand is similar to the one that was launched in its home country, China. It still same design and having the same specs. The only difference is the default language. Oppo Find 5 is selling Thailand with the price of THB$16990. It is a little bit more expansive than the one selling in China. Thanks Ponachuck for these images! 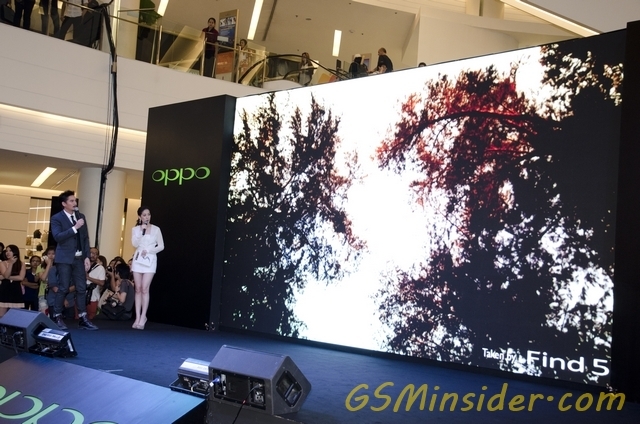 (GSM Insider) - Oppo Find 5 Launched In Thailand, Its More Expensive Selling Outside Of China. Thailand is the first oversea country outside of China to get the Oppo Find 5. 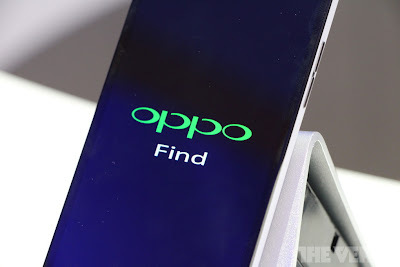 The launches of Oppo Find 5 could hint that the 5-inch 1080p device is heading to the Asian market first before to the European market. The Oppo Find 5 that arrives in Thailand is in Thai language. The device was launched with Thai language preloaded. However, the price of Oppo Find 5 in Thailand is far more expensive than the price it's selling in China. Oppo Find 5's price in Thailand is THB$16990 which is about RMB$3500. But the Oppo Find 5 selling in China with the price of RMB$2998 only. Is it because of tax imposed by Thai government? Not sure about this. Oppo Find 5 in Thailand features a 5-inch 1080p Full HD display. The processor is the popular 1.5GHz Snapdragon S4 Pro APQ8064 quad-core while the RAM is 2GB. It has 13-megapixels rear-facing camera and a 2500mAh large battery. Other features include NearMe Could Service that provides free storage of 30GB, NearMe Apps Store, WiFi, Bluetooth, HSPA+, a MicroSD slot and NFC enabled. Oppo Find 5 runs on the latest Android 4.1 Jelly Bean. For those who purchased the Oppo Find 5 in Thailand will get a Dirac Earphone for FREE. It's available for the price of THB$16990 in Thailand! (GSM Insider) - Oppo Find 5 On Sale From Today In China, Price From $480. 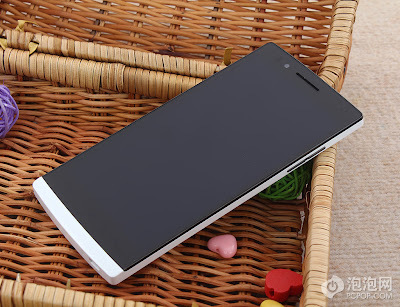 If you are a huge fan of Oppo Find 5 and getting it soon, then this is a good news for you. Finally, the Oppo Find 5 on sale today in China. China is the first country to get this 5-inch 1080p device. Oppo Mobile launched this Find 5 ahead of other manufacturers in China as it is the first 1080p Full HD from Chinese manufacturer. The Oppo Find 5 is competing with Huawei Ascend D2 and ZTE Nubia Z5 in the local Chinese market. Oppo Find 5 features 5-inch 1080p Full HD display with 441ppi. The processor is 1.5GHz Snapdragon S4 Pro APQ8064 quad-core. To make it even better is this Oppo Find 5 powered by 2GB of RAM. The combination of impressive processor and RAM are perfect for your daily usage. Other specs of Oppo Find 5 include 13-megapixels of rear-facing camera, Android 4.1 Jelly Bean, GPS, WiFi and Bluetooth. 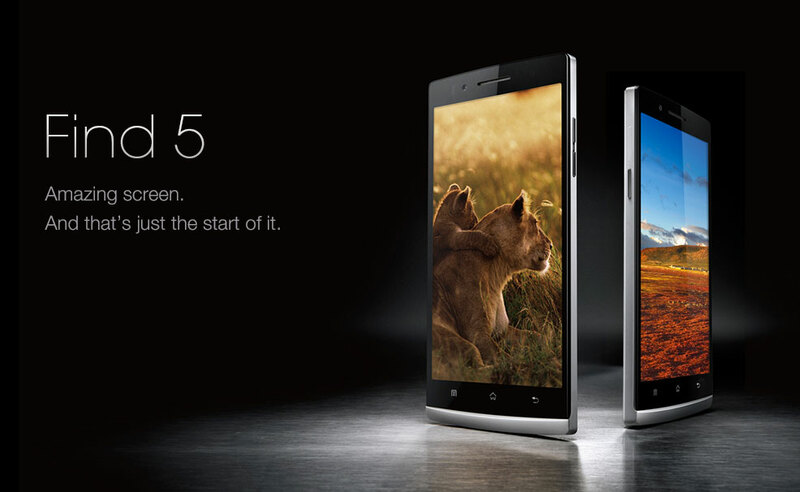 Oppo Find 5 available in two versions - 16GB and 32GB. The 16GB Oppo Find 5 priced at RMB $2998 ($480) while the 32GB of Oppo Find 5 priced at RMB $3298 ($529). Hit the source link to purchase it now! (GSM Insider) - Oppo Find 5 On Sale Date Confirmed On January 29, Price From RMB $2998. Earlier yesterday, GSM Insider revealed that the Oppo Find 5 will on sale before the Chinese Lunar New Year. 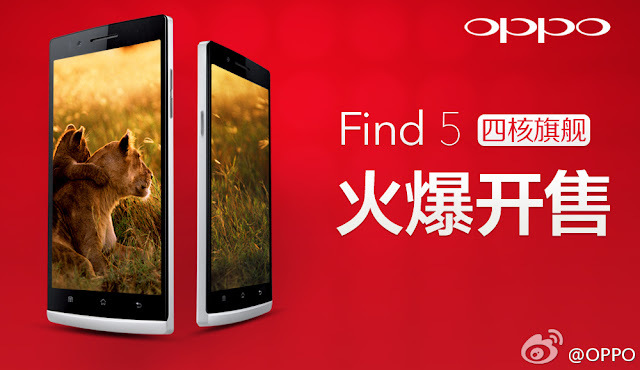 Today, Oppo Mobile officially announces that the on sale for Oppo Find 5 falls on January 29, 2013. 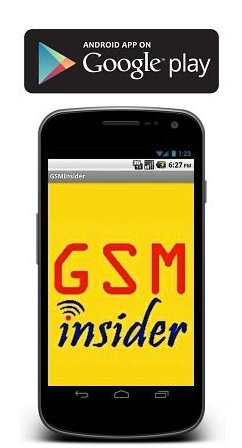 This clearly shows that the news from GSM Insider is reliable. Oppo Vice GM confirms that the Oppo Find 5 will on sale two weeks after, January 29, 2013. 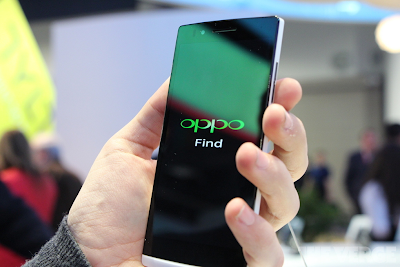 China will be the first country that gets the Oppo Find 5. It will on sale via online stores and also through local mobile stores across China. 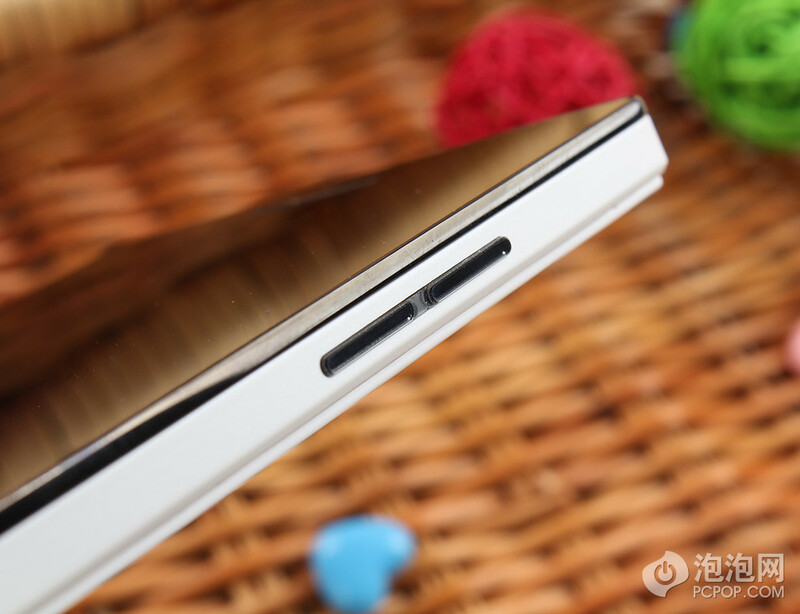 Those interested with the Oppo Find 5 can start to pre-order at Oppo official website. It will available in two models - 16GB and 32GB. The price for Oppo Find 5 16GB is RMB $2998. Oppo Find 5 packs with 5-inch 1080p full HD display, 1.5GHz Snapdragon S4 Pro quad-core, 13-megapixels camera, 2GB RAM and 2500mAh. It runs on Android 4.1 Jelly Bean. 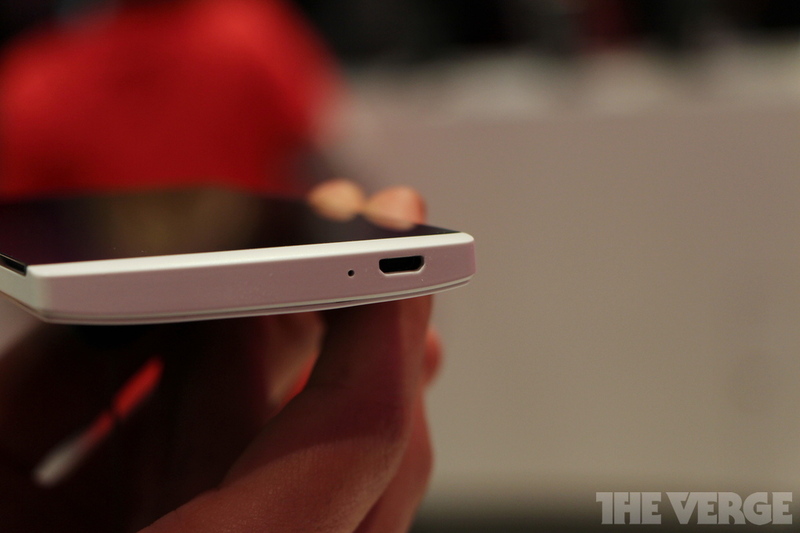 Anyone getting this Oppo Find 5? 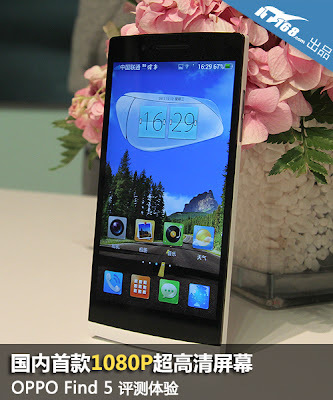 (GSM Insider) - Oppo Find 5 On Sale In China Before Lunar New Year, Available In 16GB and 32GB Two Models. The Oppo Find 5 was launched more than one month ago. But there is no news on the on sale date until Oppo exec reveals it. 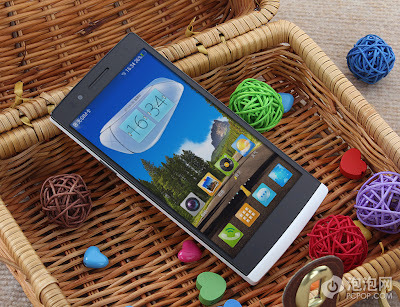 According to Oppo exec, the Oppo Find 5 indeed will on sale in China before the Lunar New Year. It will available in two models - 16GB and 32GB. The Chinese Lunar New Year falls on first week of February 2013. Oppo Find 5 comes with 5-inch 1080p full HD display, 1.5GHz Snapdragon S4 Pro quad-core, 2GB of RAM, 13-megapixels rear camera, 2-megapixels front camera and Android 4.1 Jelly Bean. 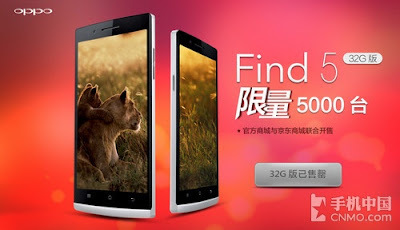 Oppo Find 5 16GB model available for RMB $2999 while the price of 32GB is yet to confirm. (GSM Insider) - Oppo Find 5 Hands On, Experience First 1080p Full HD Smartphone From China. Oppo Mobile is one of the exhibitor at the CES 2013. It brings the latest phablet to the event for showcase. It is the Oppo Find 5 phablet that launched last year. Enjoy the Oppo Find 5 hands on images! This Oppo Find 5 is definitely worth for buying the price is affordable. If you trusted popular brand then this Chinese brand, Oppo Find 5 is definite not suitable for you taste. There are so many 5-inch 1080p phablets in the market and more are coming soon as well. Oppo Find 5 should be one of those under your consideration. Its Oppo. Not Oppa or Oppa Gangnam Style. 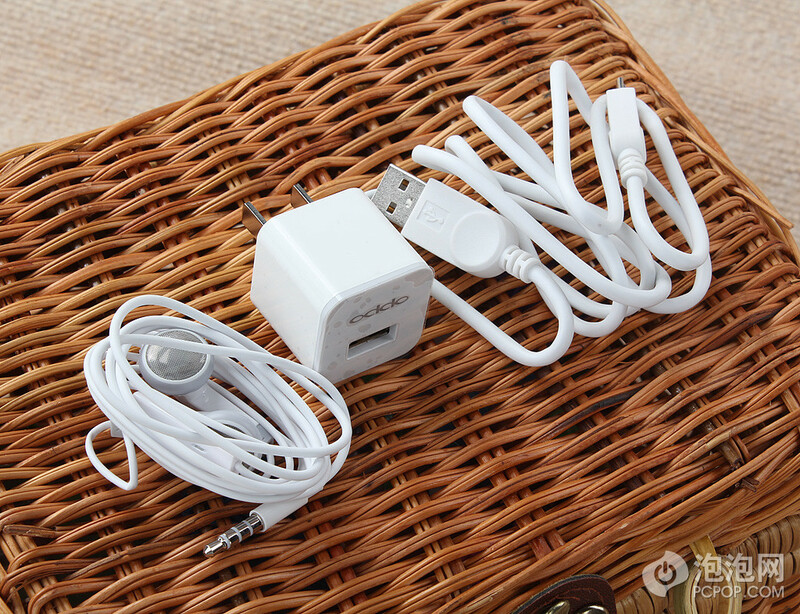 Oppo Mobile is a Chinese manufacturer that manufacturing Mp3 players. 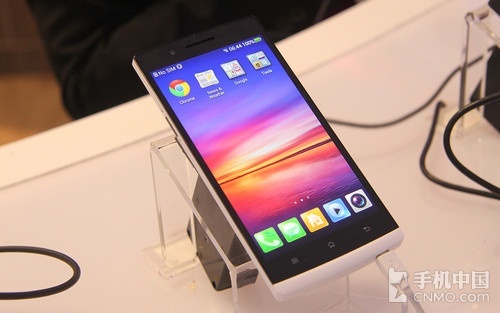 Recently, it enters the smartphone market and unveiled the Oppo Find 5. Oppo Find 5 is one of the most anticipate smartphone in China. After enjoyed the Oppo Find 5 White Version hands-on image, lets get on with the specs recap. 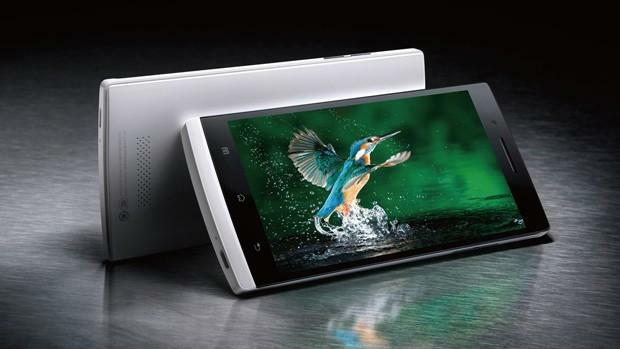 Oppo Find 5 has a 5-inch display with 1080p Full HD resolution. It is the first 1080p Full HD smartphone from local Chinese company. Soon, Huawei and ZTE introduced their own Huawei Ascend D2 and ZTE Grand S as well. Oppo Find 5 powered by 1.5GHz Snapdragon S4 Pro APQ8064 quad-core processor and 2GB of RAM. It packs with 13-megapixels shooter at the back and 1.3-megapixels shooter in front. Oppo Find 5 gives users the latest Jelly Bean flavour. Oppo Find 5 available in 16GB and 32GB two models. It is set for on sale in China market in coming weeks and arriving to global market in coming months. Oppo Find 5 is probably the best specs Android smartphone in China at the moment. It is one of the most anticipated smartphones in the market at the moment. This is because it is equipped with high performance specs. 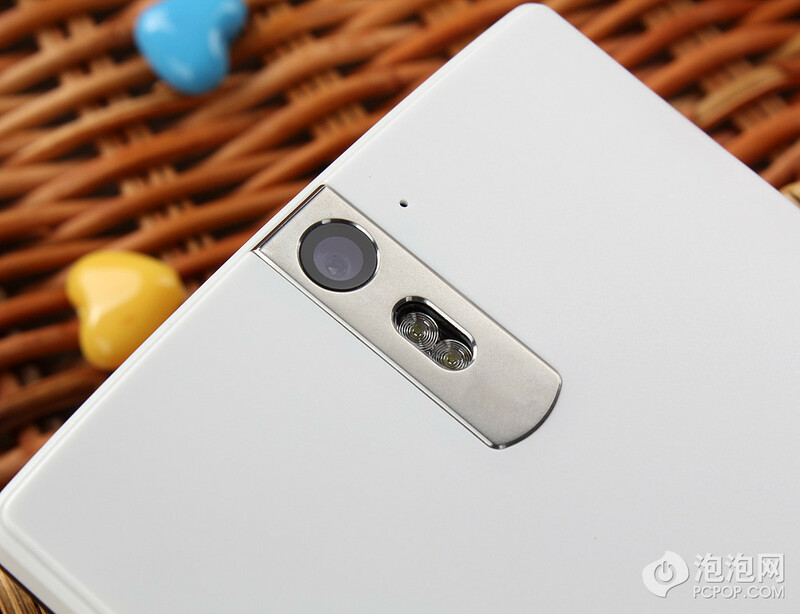 According to Chinese media, Oppo Find 5 heading to Asian, European and American countries by early next year. These countries include Canada, USA, UK, Spain, Australia, Germany, France, Belgium, Malaysia, Sweden, Singapore, Finland, Greece, Denmark, New Zealand, Norway, Japan and Hong Kong. These are some of the countries as it might heading to more countries as well. 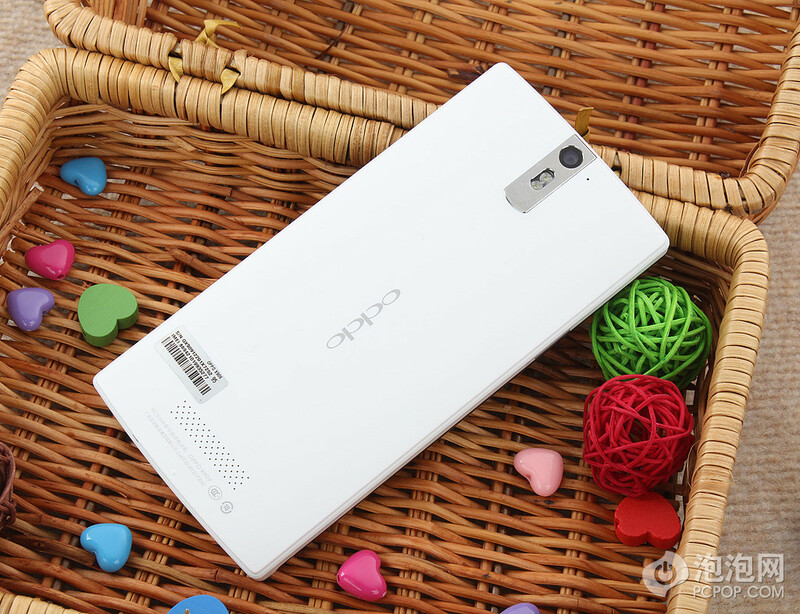 The Chinese media added that there will be Oppo Find 5 32GB version heading to the United States as well. Oppo Find 5 32GB version selling at $569 while 16GB version selling at $499. The availability remains unknown at the moment. Oppo Find 5 packs with 5-inch display with 1080p Full HD resolution, 2GB of RAM, 1.5GHz Snapdragon S4 pro quad-core, Android 4.1 Jelly Bean, 13-megapixels camera, Dirac HD sound other impressive features. Oppo is not a new company in the gadget world as it previously manufactured mp3 players as well. (GSM Insider) - 5-inch 1080p Oppo Find 5 Not Available For European Market In Near Future. Oppo Find 5 has impressive specs that include 1.5GHz Snapdragon S4 Pro, 2GB of RAM, Dirac Earphone and Android 4.1 Jelly Bean. These specs are similar like the HTC Droid DNA and HTC Butterfly. Sounds impressive, right? Here's the bad news. This Oppo Find 5 not heading to Europe in near future. This is because Oppo Mobile is yet to identify the European market as its primary market. Off course China is the main market after all since it is the world's largest Android and smartphone market. 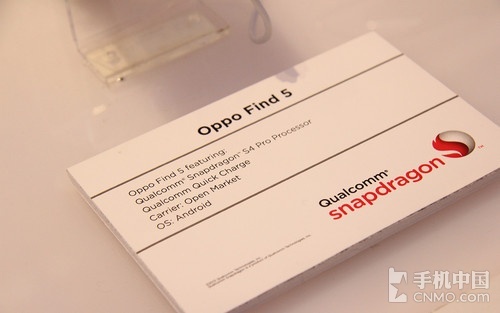 GSM Insider reported that Oppo Find 5 heading to United States very soon. It is going to available at AT&T and T-Mobile with the price of $499. If you are eagerly to get this Oppo Find 5, you can head to China or wait for it to enter USA market later on. Oppo Find 5 is the latest powerful device from Chinese manufacturer. It features 1080p Full HD display, Snapdragon S4 pro and 2GB of RAM. As the XiaoMi Phone 2 featuring Snapdragon S4 Pro and 2GB of RAM as well. However, Meizu MX2 featuring its on MX5S processor. 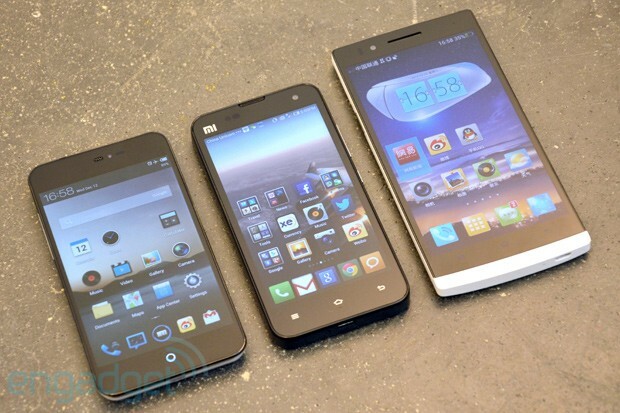 From these three devices, Oppo Find 5 certainly has the largest display among all three devices, followed by Meizu MX2 and XiaoMi Phone 2. Seems like XiaoMi Phone 2 facing fierce competition from own local manufacturers as well. We shall see more devices with 1080p Full HD coming soon. 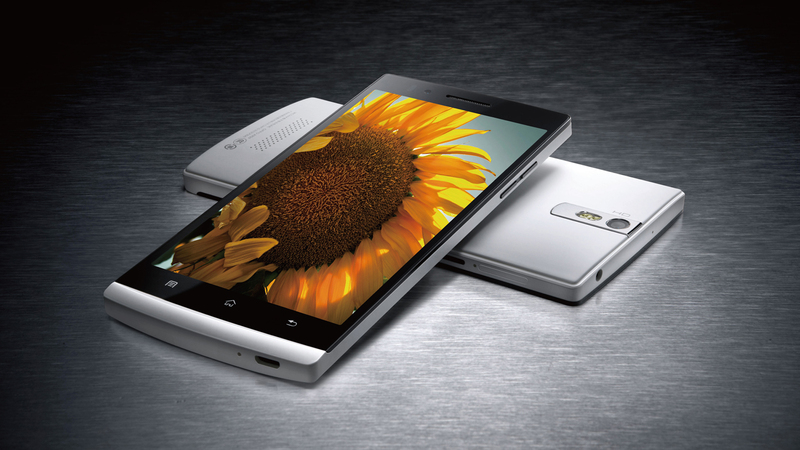 Oppo Find 5 has a 5-inch display with 1080p Full HD resolution and 440ppi. It features the famous Snapdragon S4 pro quad-core processor and 2GB of RAM. It has 16GB of internal memory but does not support microSD expansion. It has a powerful 13-megapixels camera as well. Besides the powerful specs, Oppo Find 5 also focusing on its music feature. Oppo Find 5 comes with Dirac HD earphone to improve the music experience of users. The sound chips in Oppo Find 5 is approves by Dolby Sound. Other feature included Gyroscope, NFC, WiFi, Bluetooth, Android 4.1 Jelly Bean and etc. Oppo Find 5 going to on sale in China on January 2013. Make sure you in China if you are big fan of Oppo Find 5. Continue to read the Oppo Find 5 review here... or read another review at here as well.. Here is the comparison between these three devices at the launch event. Oppo Find 5 comes with 5-inch display while the iPhone 5 has 4-inch display and the Samsung Galaxy S3 has 4.8-inch of display. The length of iPhone 5 and Oppo Find 5 is almost same as you can see from the image. 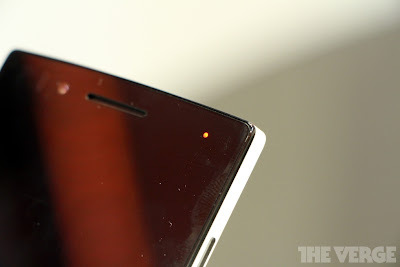 This is because Oppo Find 5 has a thin bezel at 3.25mm. 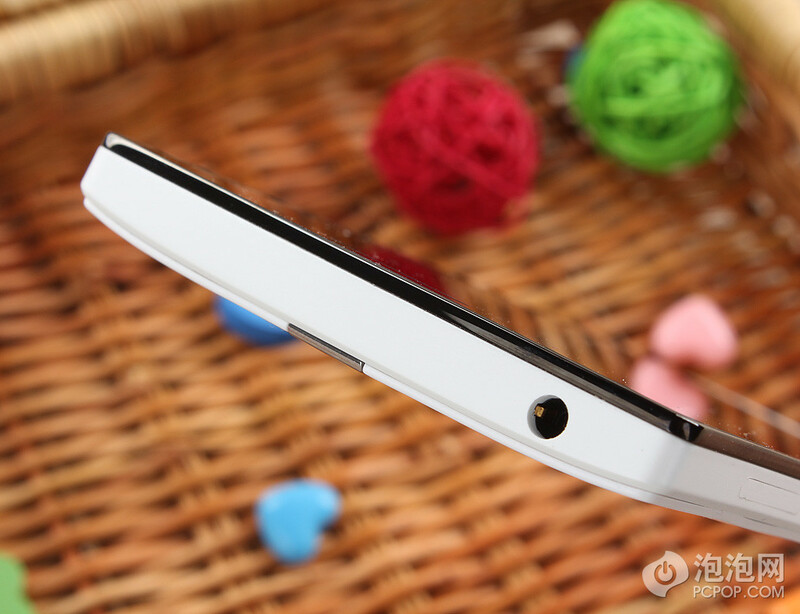 The thickness of Oppo Find 5 stands at 8.9mm. From the size comparison, have you make up your mind which one to purchase? 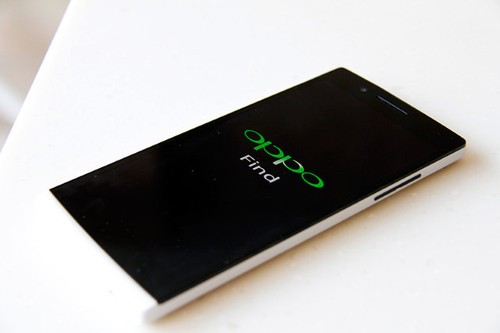 We recommend the Oppo Find 5! Want to know how Oppo Find 5 fits into your hand? Here is it the images of Oppo Find 5 gets hands-on at its launch event in China. From the hands-on images, the Oppo Find 5 fits into the hands well with its 5-inch display size. It has 8.9mm thickness only. So it is not bulky after all. As you can see the Oppo Find 5 compared with iPhone 5 and Samsung Galaxy S3 as well. The Oppo Find 5 is certainly better than another two rivals after all and off course from the specs and display resolution. The earphone for Oppo Find 5 is Dirac HD. 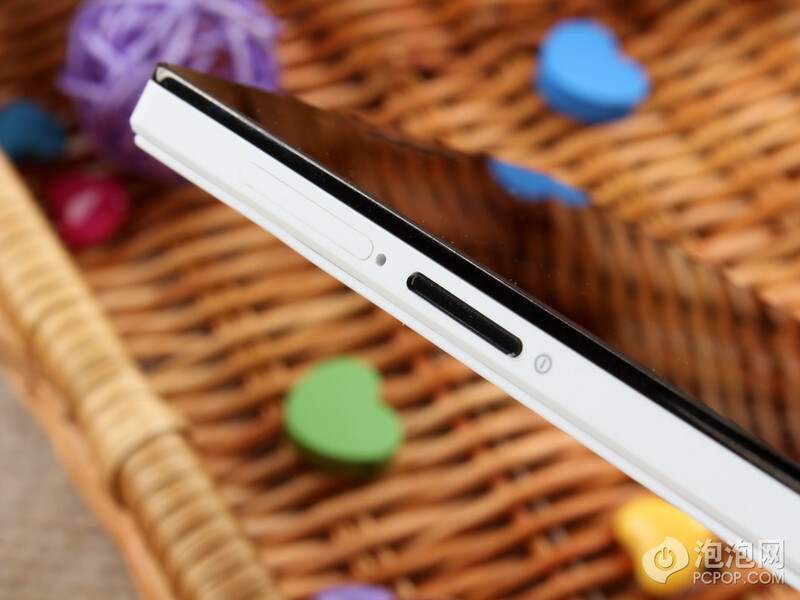 It provides the best quality sound experience for Oppo Find 5 users. Besides this, there are two NFC Tags as well. It allows your Oppo Find 5 works with the NFC Tag. Another two accessories is F-Box. It is some kind of music box. Seems like Oppo Find 5 working well for music experience other than just powerful specs. It also comes with protective cover for the Oppo Find 5. The Dirac HD earphone and NFC Tags come together in the box but the F-Box and Protective case need to purchase separately. No pricing yet on these accessories of Oppo Find 5.